TactileView - Look and feel, feel and look. TactileView creates pictures for people who can not see. These pictures are transformed for them into tactile graphics. Blind people can read them by touch and interpret the tactile material. 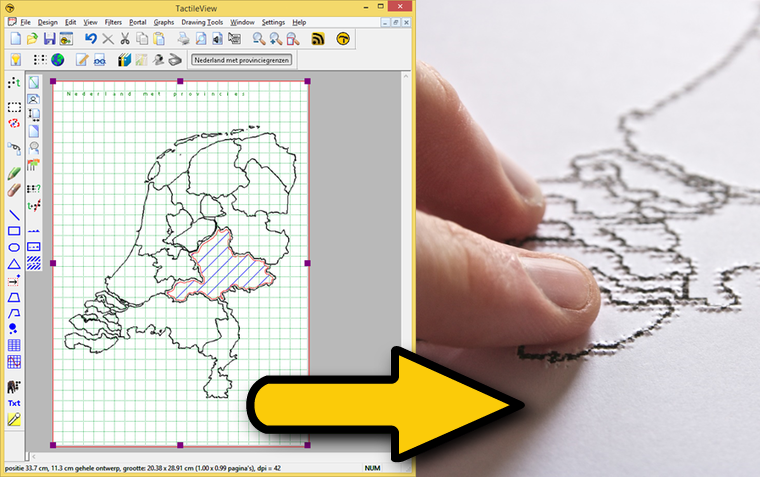 Easy to use tools are available for the design and production of tactile pictures, diagrams and maps. The TactileView concept consists of design software for the creation of tactile graphics and an international web catalog. The design software allows production (printing) on a braille embosser or on swell paper (microcapsule paper).